To add an extra special touch to your party, put our Skydancer out in front. 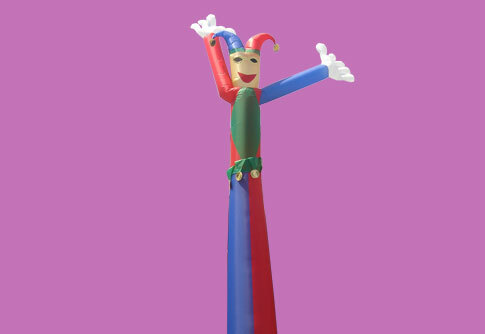 The 25' tall jester waves in the breeze, welcoming your guests with bright colors and a smile. Fun! Cheerful! Spectacular!